I’ve been slacking as a hostess lately. Apart from our girls’ train party and my husband’s Murder Mystery birthday party, we haven’t had many people over this year! It could be because I’m an introvert, and I guard my house (my safe space, my retreat, my refuge) closely. But when we do have people over, I try to make it nice. And one of the rituals I have is that I bring out the “good soap.” Such a silly ritual, right? But our guests deserve the nice soap. My girls and their overly zealous pumping can use the plain, everyday soap the other days of the week. So, when I was selected to write for the Mrs. Meyer’s Clean Day® campaign, I knew I had to mention my “good soap” obsession. 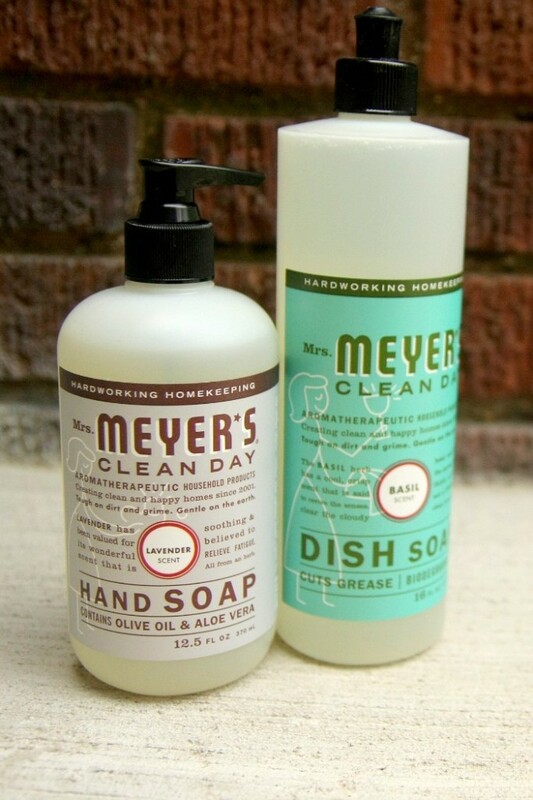 Mrs. Meyer’s Clean Day® soap is OBVIOUSLY the good soap. I’ve always loved this brand. Cleaners that smell nice but aren’t filled with harsh, stinky chemicals! The other thing I like to do for our littlest house guests is to have some sort of activity. Usually this is something hands-on and sensory-oriented, but sometimes I want something mess-free and EASY—especially if it’s a large party with lots of kids! 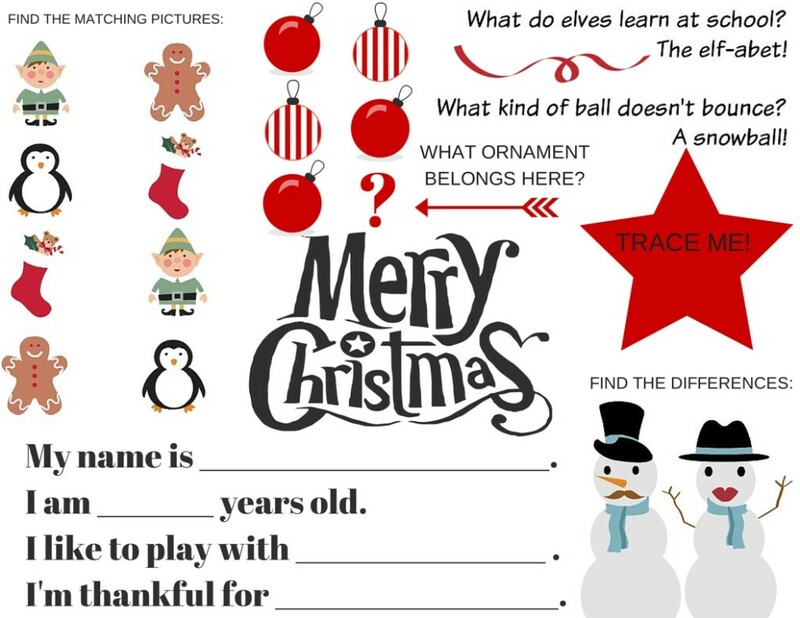 This Christmas activity placemat could be put at the table setting of each little dinner guest at Christmas dinner or your next Christmas party. And who doesn’t love fill-in-the-blank (in the style of MadLibs) stories? My preschooler doesn’t know the parts of speech yet (few do, right? ), so I modified my instructions so that it would be more age-appropriate for little ones. It was perfect for my four-year-old. She loved thinking up “something silly” (hokey jokey pokey) and thinking about “smelling” all of her friends. 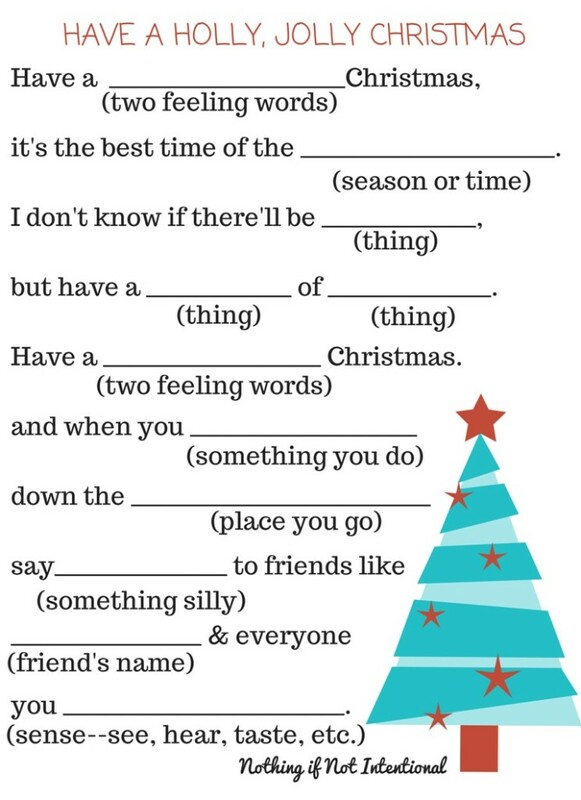 Print your FREE Christmas Fill-in-the-Blank Stories here. 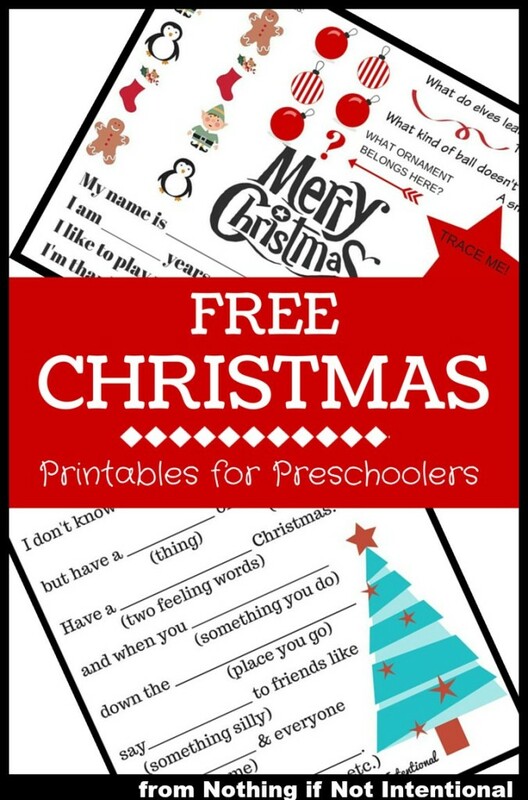 Print your FREE Printable Christmas Activity Placemat for Kids here. We hope your holidays are filled with fun play dates, giggling kids, quality family time, and occasions that call for bringing out the good soap! ← The Ranch at Rock Creek–All Inclusive Ranch Vacation in the United States! These are so fun! Definitely pinning so we can have these ready to go as Christmas day gets closer–would be fun to do with family coming to town! Thanks for sharing!